Now that fall is approaching (despite some wicked temps around the country), my drinks are starting to get a little bit darker. Less pastels, more rich blues, purples, and reds. 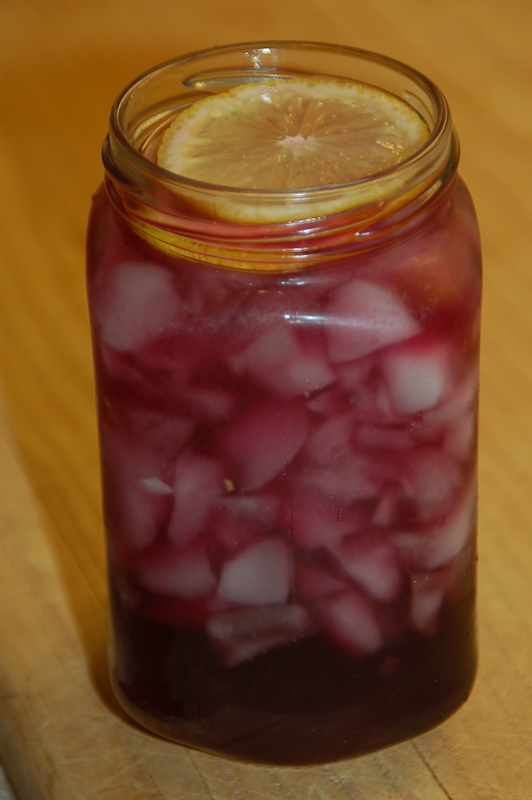 This drink was made with a premixed blueberry-pomegranate low calorie juice. If you'd like a fuller flavor, select an organic blueberry and pomegranate juice with a little texture to it. Sep 6 Product Spotlight: MOONSHINE "The Original Clear Corn Whiskey"